Years back, a leader I admire asked me some provocative questions: Why do so many men — who have walked with Jesus for years, been successful in ministry, been seen as role models — often act out in extraordinarily destructive ways? Families, churches, and ministries are left in the wake of emotional detachment, affairs, sexual addiction, depression, and suicide. What situations cause them to head down this path? Is there hope for leaders to escape these pitfalls? 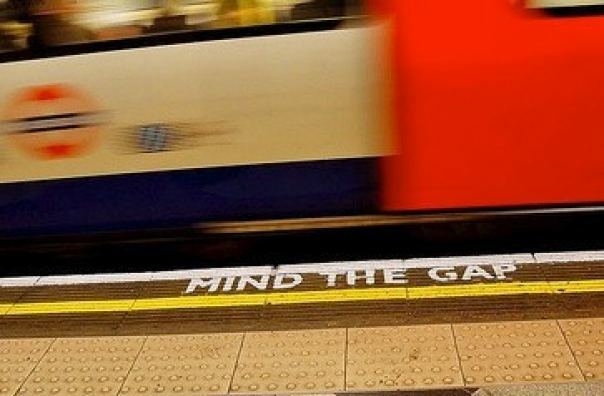 This is a complex issue but let me offer a paradigm that may help: Mind the gap. That gap here is the space between our ministry skills/education and our spiritual maturity/character. As this gap increases over time, we begin to lose hope that true redemption is possible and we start to search for hope in other places. In order to help us understand, let’s flesh out some definitions. By ministry skills, we are talking about concrete things like administration, organization, coaching, teaching, vision casting, recruiting, communication, and fund development. Spiritual maturity/character are the things that help us order our desires in a Godward way; things like honesty, integrity, humility, vulnerability, compassion, personal responsibility, faith, discipline, trust, and patience. Envision someone who has well-developed ministry skills but poor character. Or just the opposite, someone who has character but poor ministry skills. As we consider these in contrast, we notice ministry skills are about what you can do and character is about who you are . It is important to note that both are essential. Examining the character traits listed above, we notice most of them have something to do with relationship. This begs the question: Can you grow in your character outside of relationship? As professional ministers I would argue that we often err in focusing our energy on developing ministry skill instead of character. There are many reasons for doing so and I am first in line to make this mistake. When I consider skill development, I am in a position of control. This is somewhat of a direct process, one that is studied and predictable. Whereas skill development is about gaining control, character development is the opposite. Pursuing character forces us to be in relationship with God and others, and relationships are usually something we cannot control. It involves surrender to the Lord and to those he has put in our lives for our growth. It requires uncomfortable things like openness, vulnerably and intimacy. These things are scary; I prefer control. For these reasons we often default to pursuing growth in ministry skills and not our personal character. Even though we know the costs, we do this anyway, believing we will not succumb to the pitfalls of the gap. So our skills grow and grow. Our character grows, but at a significantly slower pace. In my thirteen years of ministry I have reflected on the consequences of this gap in my own life and relationships. The recent pursuit of a seminary degree has led my gap to increase. (There is nothing wrong with seminary, but it easily feeds my desire for quick knowledge instead of the slow process of spiritually maturing.) As the gap grows, so does my disillusionment with my work, and with Jesus. I feel like I know the right answers, but this Christian "stuff" just doesn’t work in real life. I become more frequently frustrated with the organization I work for, looking for a scapegoat to vent my disappointment. At times I can even feel like my personal ministry is fabricated and inauthentic. So the gap looms in front of me, and I suspect it may for you as well. The question is, can you see it? Will you take time to slow down and mind it? Practically, what can we do? The key to character development follows the normal pattern of relational redemption. After all, since Genesis 3 we have been in search of ways to redeem what was lost in the garden: relationship. Relationship with God, with each other, with self, and with creation were all shattered by the Fall. As we seek to apply the gospel to these areas and grow in character, we must follow the pattern of redemption we see in the Scriptures. Growing in your character will require entering into relationship (as Jesus did in the incarnation), submitting to another, (as Jesus did to his Father), dying to yourself (as Jesus did on the Cross), and being made new (as Jesus was in the resurrection). As an example, if you want to grow in patience, choose to be in relationship with someone who is difficult for you to love (enter into relationship). Then pay attention to the emotions it produces in you. In a position of surrender (as David did in the Psalms) offer those fearful and frustrating things to the Lord. As you grow in understanding your own fears and choose to offer them to Jesus and others (this feels like dying), you will experience the Lord’s presence (which feels like new life). Experiencing grace from God in these moments is the birthplace of the patience you seek. It is difficult to offer grace to others when you have not experienced it yourself. Much of the sanctification process is learning to live in a position of surrender to the Lord. It is about healthy submission, in contrast to seeking control. Nothing is new under the sun. We struggle with the same temptations as Adam and Eve in Genesis 3. We want control, and growing our skill set is one way we do that. Again, there's nothing wrong with having mad skills. Just be sure to set apart the time and energy to pursue your character development along the way, lest you too be one to stumble and fall. * Photo courtesy of raghavvidya (Flickr Creative Commons).